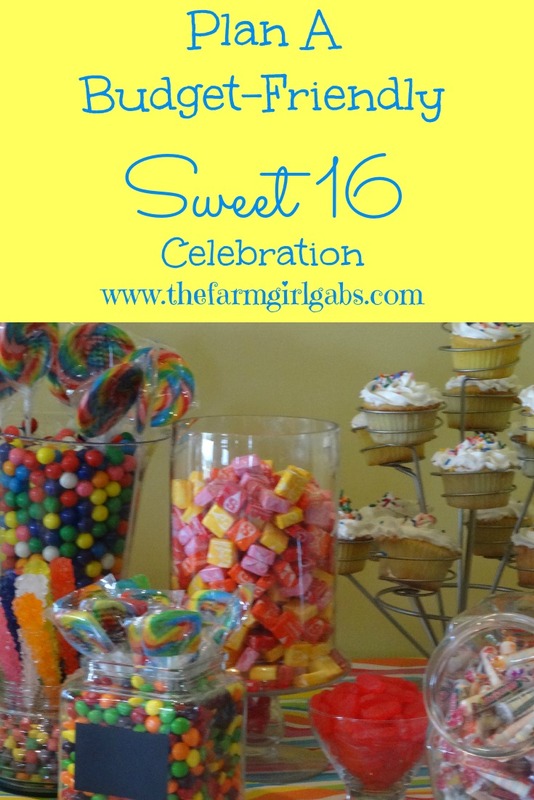 Great tips and ideas for planning a budget-friendly Sweet 16 celebration! Candy bar ideas, cupcake ideas, menu ideas, and how to keep it organized and fun! Aahhh, the teenage years. I’m still trying to wrap my fingers around the fact that my oldest child, Gabrielle, has turned 16! How did this happen? How did she get so old so fast? Or, maybe I should ask how did I age so gracefully so fast? It seems like yesterday that she was just toddling around without a care in the world. Like most 16-year-old girls, Gabrielle asked if she could have a Sweet 16 celebration for her friends. I, of course, said “absolutely.” When it comes to parties, we love to entertain at our home on the farm. We are also “do it yourselfers” (is that even a word? ), meaning, we like to prepare the food and handle all the planning details ourselves. Luckily she has a summer birthday so having a pool party here at our house was the perfect fit. It also was the most budget-friendly choice for us since renting a venue was not an option. That can get pretty pricey. On a recent evening in July, 30 friends came over to celebrate Gabrielle Sweet 16 and enjoy an evening of fun. Here’s some ideas that I used to make the event a smashing success and keep our budget in check. Tips for Planning a Budget-Friendly Sweet 16 Celebration! 1. We hosted the party at our home. That saves a ton of money right there. Gabby wanted to have a pool party-themed party. We love entertaining at our home. We are also fortunate enough to have the space to do it. Hosting Gabby’s party at home was a no-brainer. Because it was a pool party, most of the kids stayed outside throughout the night anyway. 2. 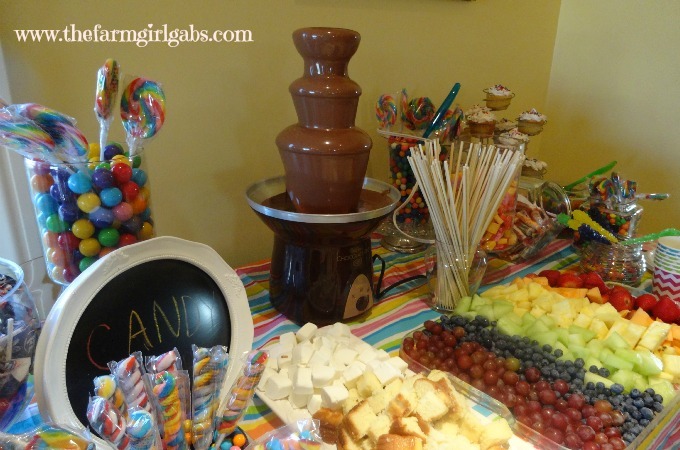 The highlight of the party was a candy bar and Chocolate Fountain that I set up. This was a BIG hit! There is nothing like teenagers loading up on tons of sugar. Seriously, it was the best. To make it cost-effective, all the clear glass apothecary jars , vases and glass containers of various sizes that held the candy were purchased for next to nothing at a local thrift shop. I also borrowed a few from a friend. I bought the assorted candy in bulk to at our local wholesale club. Buying in bulk always saves a little money. I tried to have a variety of sizes vases so it look visually pleasing when it was all arranged. I also made several types of cupcakes and displayed them cupcake stands . 3. Gabrielle made her own music playlist and streamed our own music . Keeping our budget in mind, we didn’t have to spend the extra cash on booking a DJ. I found that the kids were more focused on socializing with each other too. 4. Invitations: I purchased invitations online but used a promotional code to get a really good deal. You can often find promo codes just by searching the name of the company + promotional code. I also shopped through Ebates and got additional money back. This saved a lot of money! 5. Finally, I prepared all the food myself! I think you know by now that I love to cook and whenever we have a party, the food is always homemade. 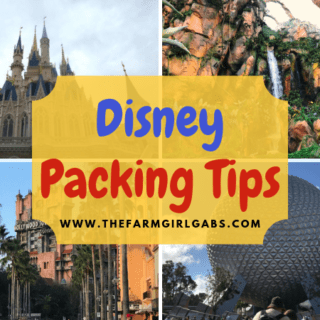 Preparing all or some of the food on your own does take time but is another way to save a LOT of money. Catered events are VERY expensive. I usually plan the menu ahead of time so I can keep an eye on the sale circular for our local grocery store. 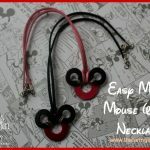 In addition, I will shop at the wholesale club we belong to and buy in bulk. Here is the menu I prepared for the party. Do you like to plan your own parties? Do you entertain often in your home? Planning a party at your home is not as difficult as it seems. 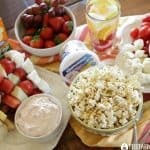 With a little planning, you can tailor any of these ideas that I used to make your next at home party a smashing success. « 5 Ways to Spruce Up Your Midsummer Garden! Looks like the party turned out great! I would love to have a party and incorporate a candy bar..such a “sweet” idea 😉 Thank you for linking up at the Merry Monday Linky Party! I love this! I wish my parents would have thrown me a party like this! I have a dd that will be 16 next year and we haven’t decided what we’re doing yet, but I know she would love to have a candy bar. Thanks for sharing on Merry Monday. Oh my Melissa. I bet this party was a true hit! Your menu and pictures look amazing! Sixteen is a big year. Always a joy to celebrate! !